How will Eric finance his college education? Should Belinda use her charge cards to shop for clothes? How will Tama overcome her credit card debts? How can Josh finance a car of his own? 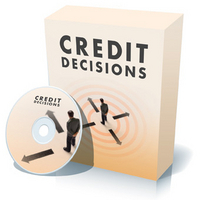 Meet these young adults and twelve more as each faces their own challenging credit decisions. Each of the 16 young people your students will meet are facing their own unique credit decisions that will have a serious impact on their lives. Your students will decide if they are making the right decisions or not. As your students learn about each of these young people and their real life credit situations, they'll gain the knowledge they need to make the right choices when they face credit decisions in their own lives.